Abram Taylor was born in England in 1703. Sometime before 1724 he came to Philadelphia, where he accumulated considerable wealth through land ownership and trade. Taylor held a number of government offices. As early as 1741 he was a member of the City Corporation and the provincial Governor’s Council. Although elected mayor of Philadelphia, he was fined for his refusal to serve. 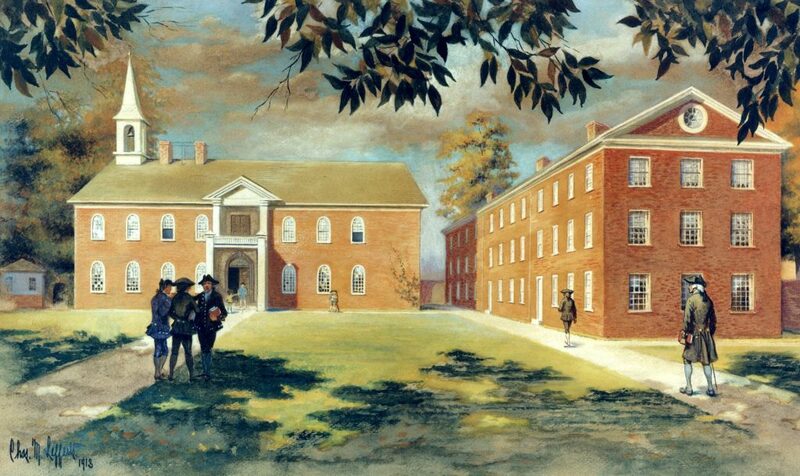 In 1749, Taylor was one of the founding trustees of the Academy and Charity School of Philadelphia, and was a trustee a few years later at the time of the founding of the College of Philadelphia (now the University of Pennsylvania). Taylor had not planned on staying permanently in Philadelphia, finding the climate and the lack of entertainment not to his liking. Despite these sentiments, he did return to Philadelphia after a business trip to England around 1750. He continued as a trustee of the Academy and College and as a member of the City Corporation until he returned permanently to England in 1762. He died in England ten years later.